There is a lot of live chat software available today where you can install it on your website and you’re able to chat with your visitors. Engaging with your visitors by inviting them to a private chat conversation and helping them find a solution increases the chance of converting them into your customers, rather than them leaving and turning to your competitors. 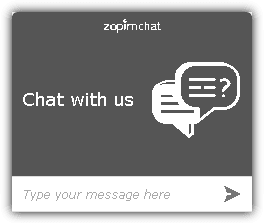 There are two types of live chat software which is the standalone installation and hosted. The standalone installation is cheaper in the long run because you’re not limited to the amount of operators and departments but it has to be installed and maintained on your server. As for hosted, it is subscription based and much simpler to implement where you just sign up and embed the given code to the webpages that you want to offer live support. Most of the hosted live chat systems offer free 14 day trials but we’ve found a few of them that provide free plans with some limitations. Normally the limitations are the number of operators, departments and concurrent chats. There are some live chat providers such as Olark, Userlike, Banckle.Chat, ClickDesk, and Casengo that offers free accounts but limit the number of monthly conversations which will not be included in the list below. The Zopim free plan is called Lite and is best suited for individuals as it only allows 1 agent, 1 concurrent chat and view chat history up to 14 days. You can create shortcuts where typing a few characters can automatically turn into sentences, for example typing “HI” would become “Hi, how can we help you today?” and also ban a visitors IP address from using the live chat if they are abusing it. Zopim supports SSL and is hosted in CloudFlare so you can expect a decent performance that does not slow down the page loading time. In the dashboard, you are able to change the sound notification and customize the chat window appearance. Do note that the Smart Chat Triggers which can be used to created automated actions based on criteria are disabled in the Lite plan. Instant messaging integration has been discontinued but they offer Android and iPhone apps for chatting with your visitors on the go. During the time of writing, Zopim is at 185.4KB in size. The free account of LiveSupporti is very basic with quite a number of features being disabled. You’re allowed only 1 agent with 1 concurrent chat that can be used on unlimited SSL or non-SSL websites, and viewing of chat history. Logging in to your LiveSupporti account doesn’t automatically put your chat status to online and you need to be at the Live tab to be ready to accept chat requests. Similar to Zopim, LiveSupporti is also hosted on CloudFlare and the chat widget weighs in at only 40.5KB. Do note that the free account also doesn’t allow offline messages where your visitors can send you messages if there are no support agents online. HeyBubble is the only free live chat software from this list that still maintains integration with instant messengers such as Skype and Jabber. However, a lot of features such as chat invitation, theme customization, statistics, shortcuts to sentences, and conversation archives are disabled in the free start-up plan. It is also limited to 1 operator and 1 concurrent chat. HeyBubble is hosted in the US and a whopping 473.2KB in size. The time taken to load the chat widget can be quite slow for visitors from Asian countries. SSL is supported. Some of the advantages in the fairly new free edition of JivoSite are they allow up to 5 agents and do not have a limit on the amount of concurrent chats. You can either use their agent web app or an application that works on both Windows and Mac to chat with visitors. Chat archives, statistics, customizing the design of chat widget and e-mail for offline messages are also enabled in the free edition. Other than that, JivoSite is super fast because it is hosted on Amazon and is a tiny 34.3KB in size. Probably the only drawback in the free edition of JivoSite is the non-SSL support which means you won’t be able to use the chat widget on secure pages or else the visitor will receive a scary warning about the mixed content from the web browser. Some of the advanced features such as sending files, proactive chat invitation, transferring chat to another agent, blacklisting, seeing which page the user is on isn’t available in the free edition. Manually inviting visitors to chat is currently not being implemented in JivoSite. Unlike most of the free versions of Live Chat software with limited features, MyLiveChat is very generous in allowing you to use all of their features in their free account. The only limitation is 1 agent with 1 department and upgrading to a higher paid package increases this limit. Some of the features that a free account has access to are chat invitation, SSL, unlimited concurrent chats, agent offline message, ban user, transfer files, web agent console, application for Windows, Mac, Android, and iOS, canned responses, customizable chat widget, spell checker, proactive chat (triggering), typing indicator, sound effects and etc. MyLiveChat is hosted in the US at SoftLayer, weighs in at 93.3KB and loads pretty fast on our side. PureChat is currently the only fully free live chat system so you can expect a no limit usage from the software. If you need a simple live chatting software without all those fancy features, you can definitely consider PureChat. Obviously there are no limits on the amount of agents and concurrent chats. SSL is supported, customizable chat widget, canned responses, chat logs, banning IP address, statistics, mobile apps and that is about it. PureChat is hosted in the US at Peer 1 and 176KB in file size. The load speed is reasonably fast. It is mentioned in their FAQ that they may charge for premium features in the future. You save my time! I will check for Jivosite from you. Thanks for featuring us! Shortcuts is probably one of our most powerful features. If you’re having to serve a lot of customers it makes things really quick. Thanks and i found you from google ! Thank you Raymond. I was glad to discover this! Another great tip. Thank You.